It seems a little strange for Chevrolet to partner with The Walt Disney Company China for a Tron: Legacy inspired show car, knowing the film is five years old now, but the Chinese want what they want. 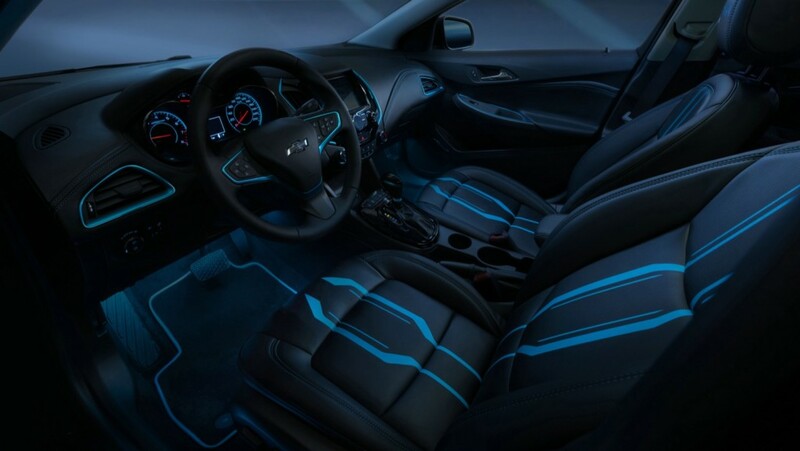 The Chinese-specification Chevrolet Cruze has been decked out in Tron design for Auto China 2016 in Beijing, and Chevrolet didn’t skimp out on the features. The brand states it took inspiration from the speed and power present in the film, and merged it with the dynamic body of the Cruze. The blue lines seen throughout the exterior have been done with a special metallic paint, giving the perception of glow in the dark lights, much like in Tron. The same ice blue lights are found inside on the seats, across the dashboard and steering wheel for greater effect. Overall, the design was intended to embody Chevrolet’s “Find New Roads” mantra, combining fantasy and reality into a show car for the Chinese public to gawk at. The vehicle will be on display throughout Auto China 2016.